Southeast Asia is drawing increasing attention as a popular travel destination, with Laos being often overlooked, yet worth an adventure. 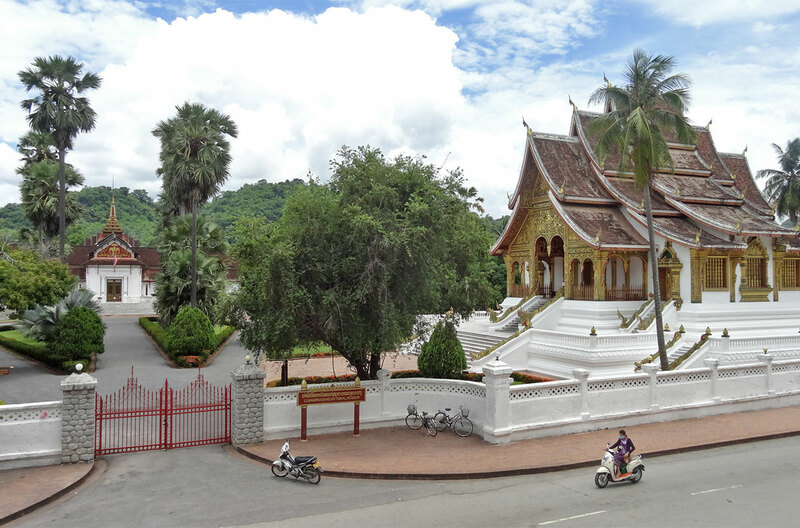 Remaining far more remote than the capital city of Vientiane, Luang Prabang has preserved its own old-fashion charms. Mount Phousi, the ancient red-roof temples and the fusion of French-Indochinese architecture are some remarkable highlights of the UNESCO World Heritage Site. 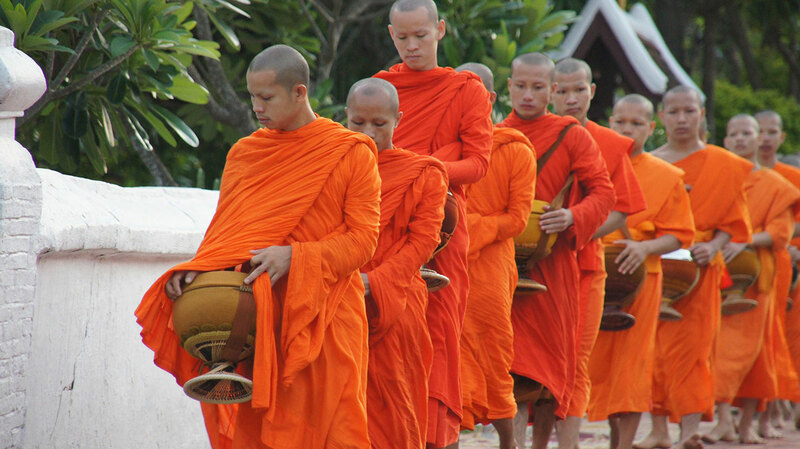 Check this Luang Prabang itinerary to see the best things to do in Luang Prabang. Explore the city within just a day with Baolau! 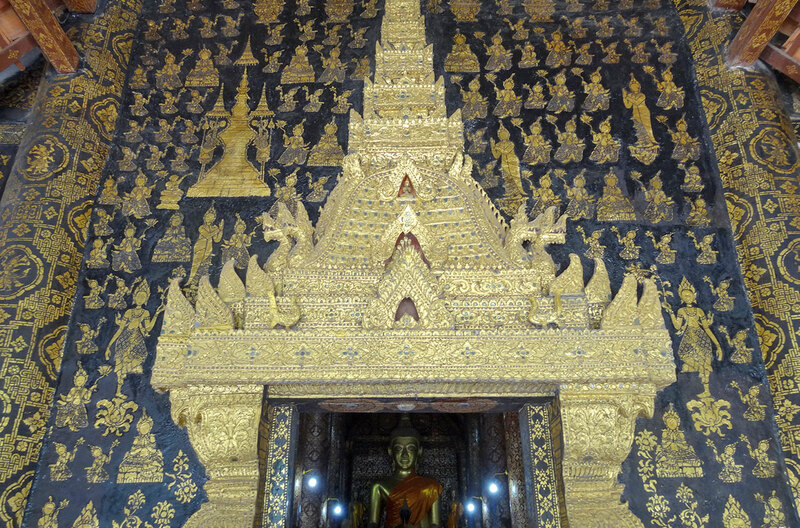 Get up early for a morning visit to one of the most important Buddhist temples in Laos. 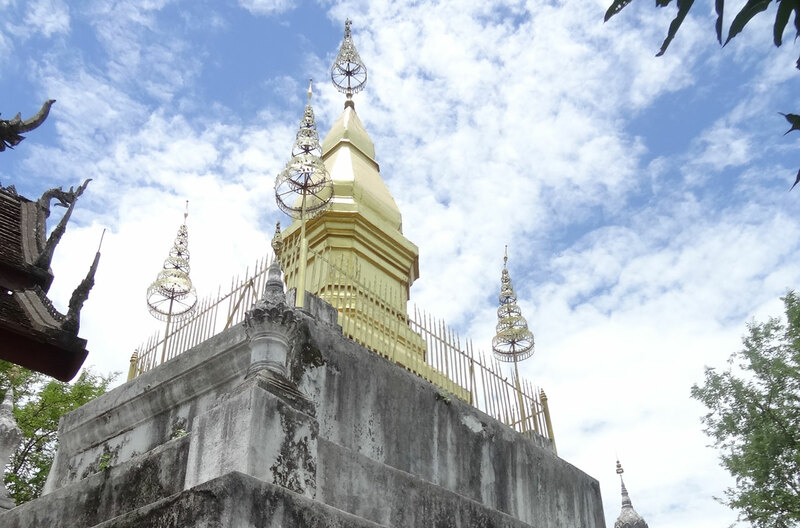 Wat Xieng Thong or “Temple of the Golden City” is located on the northern tip of the peninsula of Luang Prabang. 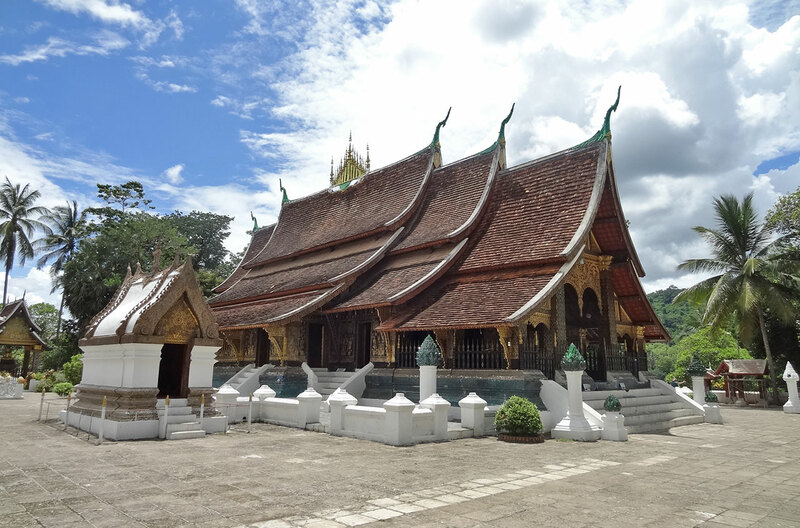 The temple was built in the year 1560 along the banks of the Mekong River and the Nam Khan river intersecting at the ancient capital of the Kingdom of Laos. Originally, the Royal Temple was used to hold the ceremony of crowning for the King and also as a monastery. After the fall of the monarchy, it still remains a significant symbol of religion, royalty, and traditional art and craft of Laos. Tip: When entering the temple, you must not reveal your shoulder and knee. The local staff will ask you to rent some clothes in case you need to cover up, and a locker if you need to store your belongings. After filling yourself up with some of Luang Prabang’s famous and refined French cuisine, it’s time to learn about Laos past. The Royal Palace was built in 1904 during the French colonial period for the King Sisavang Vong. It was located in the city center between Phousi Hill and the Mekong river so official visitors could disembark after their river voyage and be received at the palace. In the present, it serves as the national museum dedicated to preserving the heritage of Lao’s monarchy. The museum is open from 8:00 AM to 11:30 AM and 13:30 to 16:00 every day except Tuesday. 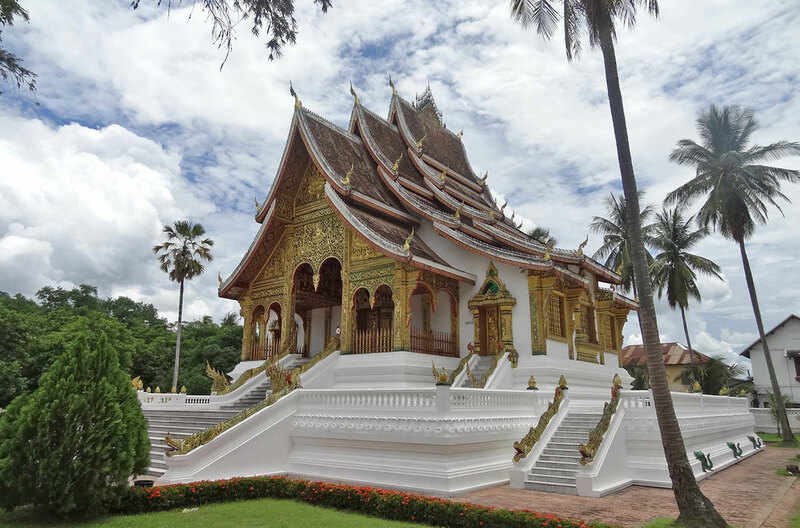 On the grounds of the Royal Palace, visitors can admire the Haw Pha Bang, one of the most beautiful monuments in Luang Prabang. Haw Pha Bang, which translates to “Royal Temple”, was built to enshrine the Phra Bang, the most sacred Buddha image in the country. 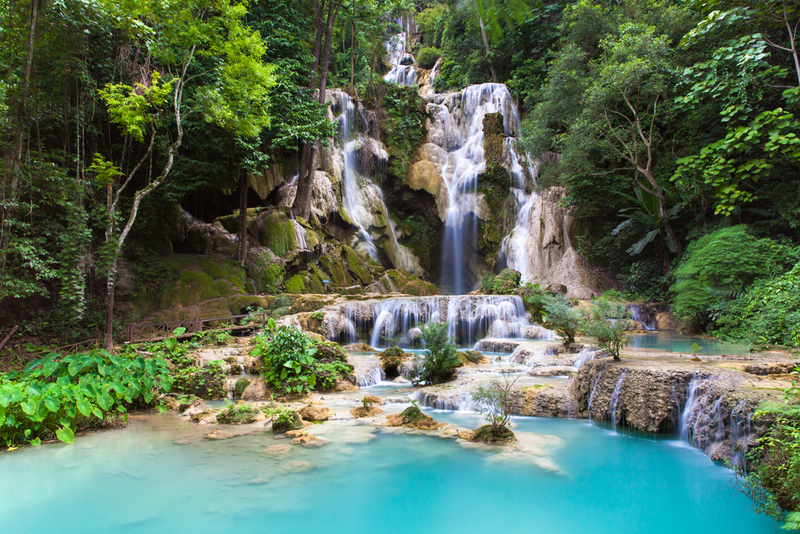 If there can only be one must-do thing in Luang Prabang to pick, it should be the Kuang Si waterfall situated on the outskirts of the city. The long stunning waterfall with three tiers, leading to the main fall and plenty of blue pools, is a must-watch. On sunny days, many locals would bring their food and drinks for a picnic around the waterfall area. 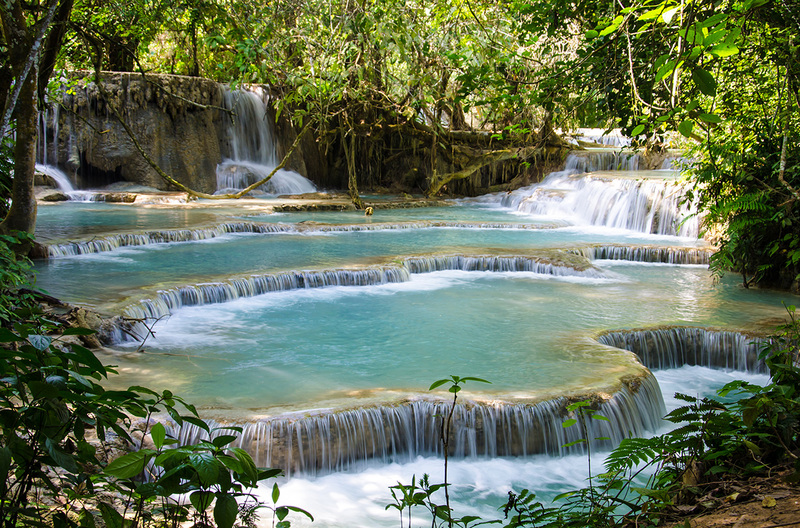 You can find multiple cascading pools at different levels, all of which are amazingly picturesque and reportedly safe for swimming and bathing. We recommend that you spend a few hours trekking up and down the river stream. 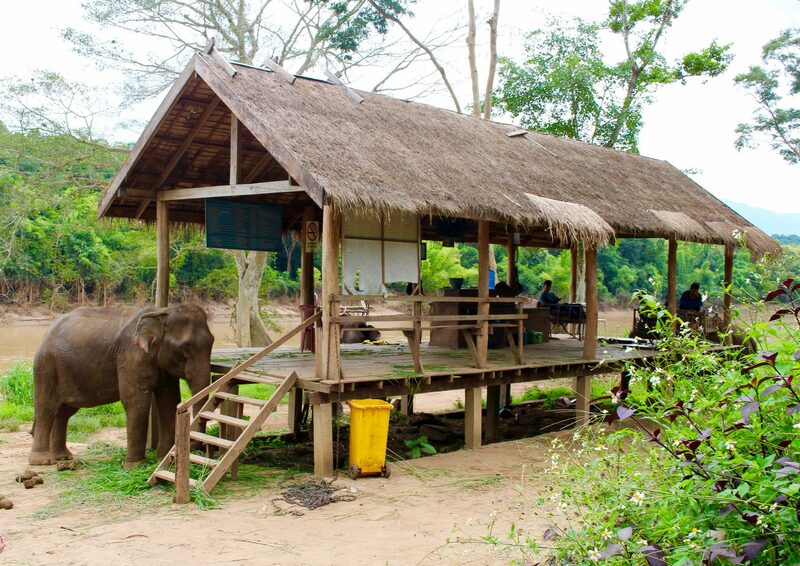 Visiting an elephant camp is a popular part of the touristic activities in Luang Prabang. There are several camps to choose from. Watching and playing with the elephant only is more recommended than riding. 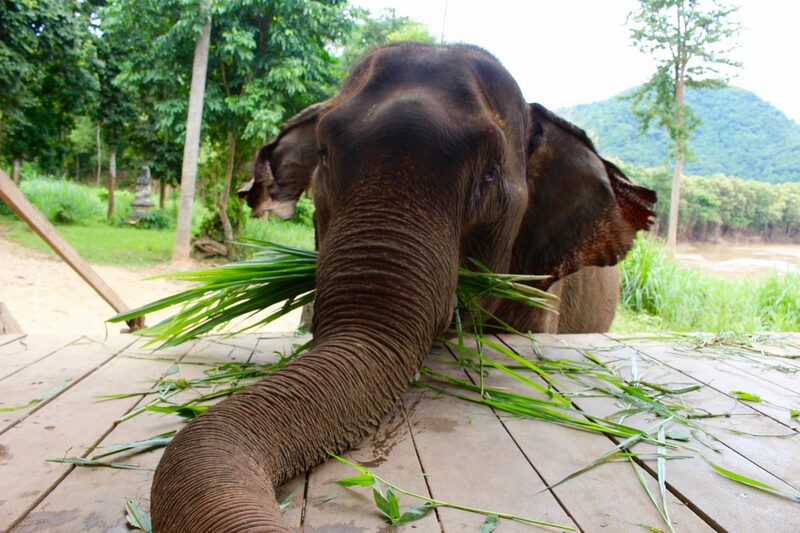 Look for the Elephant Village instead of camps, as this elephant sanctuary is focused on protection and rehabilitation of elephants in Laos. This organization rescue elephants and tourists here can only ride on their bare backs instead of seats, which is more comfortable for both. Transportation tip: Most elephant camps are pretty far away from the city. Find other travellers to share a tuk-tuk. It takes only about half an hour to walk from the city center up the Phousi through a very nice path indicated with clear directions. 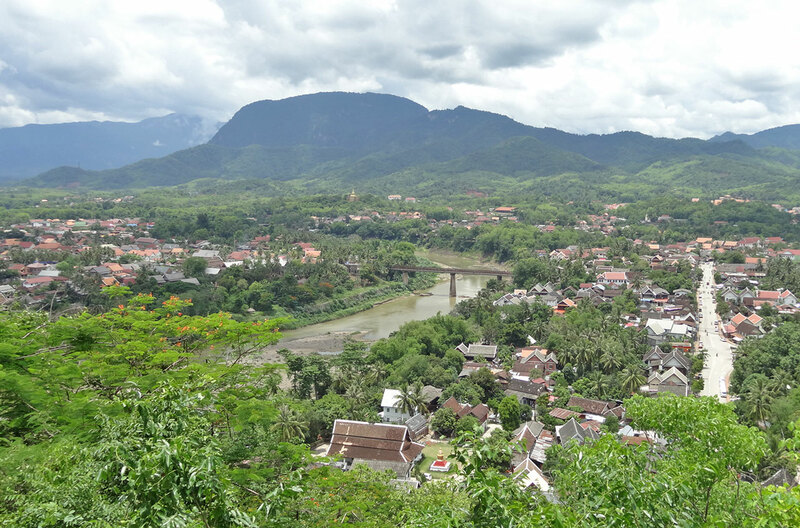 This visit is especially recommended at sunset when you can enjoy a viewpoint from high above Luang Prabang. The whole area around Mount Phousi is very quiet and spiritual. 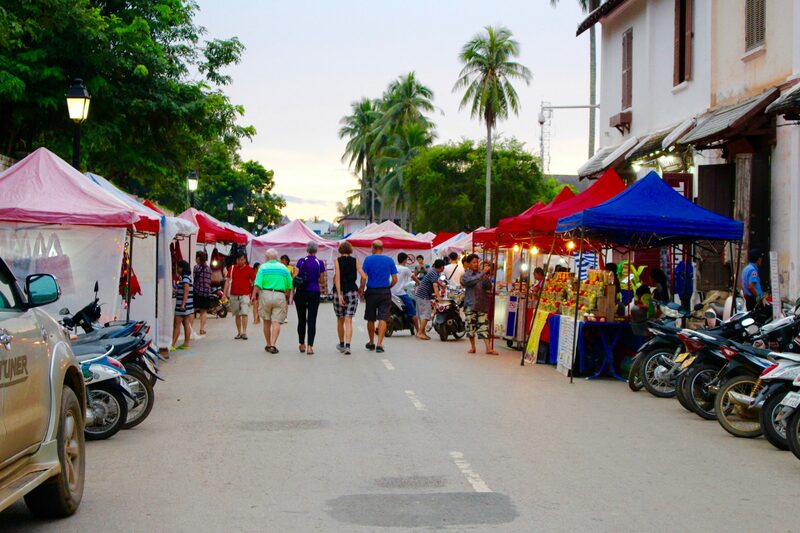 Luang Prabang’s night market offers a wide range of local clothing, street-food, and amazing atmosphere. The market is only open at night. Hence, make your way around the 1-kilometer long market at nightfall. 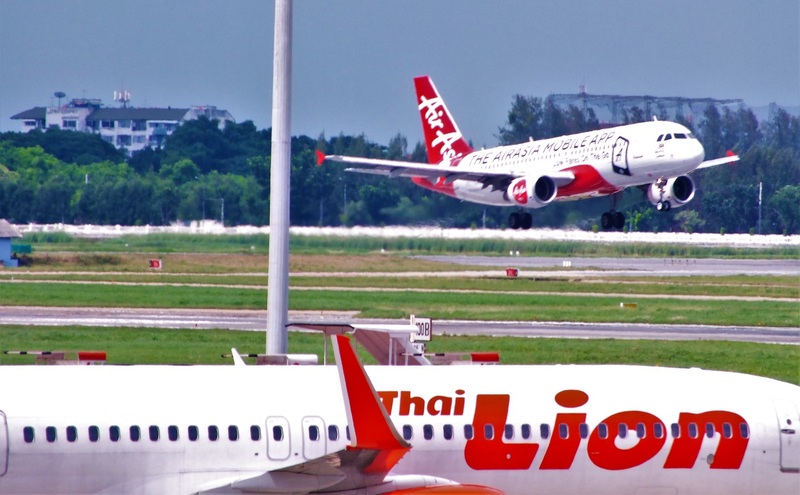 By air, there are international flights connecting Laos with Vietnam, Cambodia, and Thailand. Vietnam Airlines operates regular flights from Hanoi and Siem Reap, whereas AirAsia operates regular flights from Bangkok. 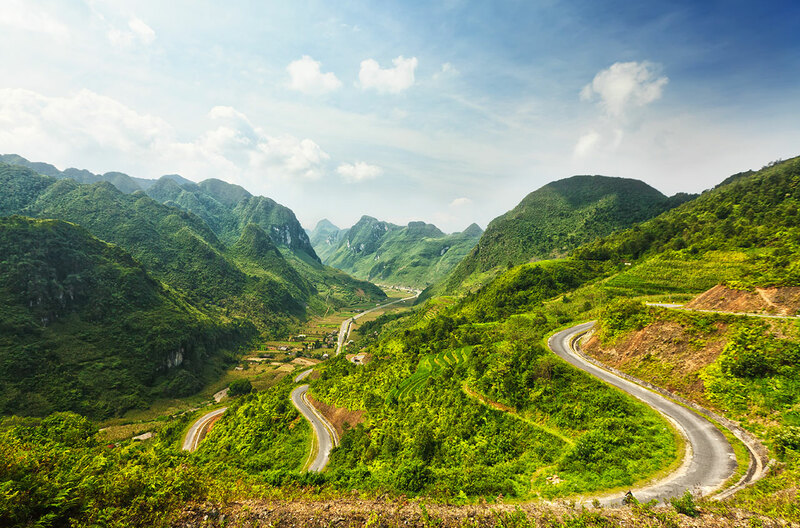 By road, 27-7 operates an international bus route from Hanoi to Luang Prabang, connecting Vietnam and Laos through Nam Can – Nonghet International Pass. The bus departs from Nuoc Ngam Bus Station in Hanoi and arrives at Naluang Minibus Station in Luang Prabang. Whether you travel by airplane or bus, you can reserve your tickets in advance with Baolau. If you are already in the country, there are several domestic bus routes in Laos that connect Luang Prabang with Vang Vieng and Vientiane. Baolau lists multiple bus and van services running the route Vientiane – Vang Vieng – Luang Prabang, available for booking online. Visiting Luang Prabang is a unique experience for every traveller who seeks the untouched beauty and authenticity of Laos.